MONTERO|ARAMBURU ABOGADOS is an active institution that continually seeks highly qualified and committed professionals to join our teams, where human interaction supersedes strictly professional relations. 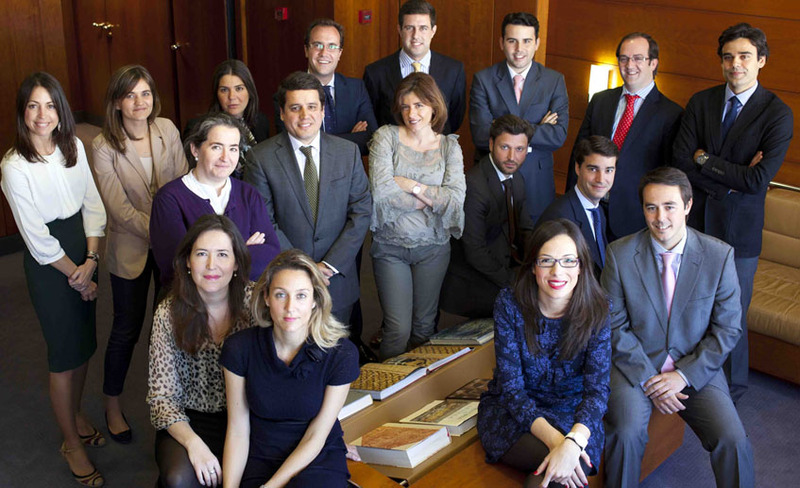 MONTERO|ARAMBURU ABOGADOS offers recent graduates the opportunity to acquire comprehensive training and to enjoy the finest facilities with the latest technology and, above all, an exceptional working environment. In an effort to provide our clients with the best service possible, MONTERO|ARAMBURU ABOGADOS recruits the top professionals in the legal field, a process that requires an exhaustive recruitment system combining professional and personal excellence. Our selection process consists of three phases based on meeting a series of academic requirements which are considered essential when submitting an application to MONTERO|ARAMBURU ABOGADOS: candidates must hold a LLB in Law, a degree in Economics, and/or Business Administration, post-graduate studies and/or have prepared to sit public exams with professional bodies in the legal sector. Proficiency in English or French is also essential. Depending on the technical profile required for the position, compliance with these essential academic requirements is determined by passing a series of knowledge tests, which include two written tests to gauge the candidate’s technical-legal aptitude and his/her command of English. This first phase of technical assessment is followed by a second phase, in which the candidate is invited to take a series of psychometric and personality tests designed to determine his/her optimum profession/position by evaluating the candidate’s skills relative to the demands of the chosen assignment. After having passed the test in the first two recruitment phases, the third and final phase begins, which entails a series of interviews with HR and the heads of the department corresponding to the given position. In these interviews, we introduce the firm’s philosophy and culture to the candidate and discuss his/her professional prospects within the firm, as well as any concerns, questions, impressions, and mutual expectations, in an effort to find talented and tenacious people with strong communication skills, initiative, and enthusiasm.